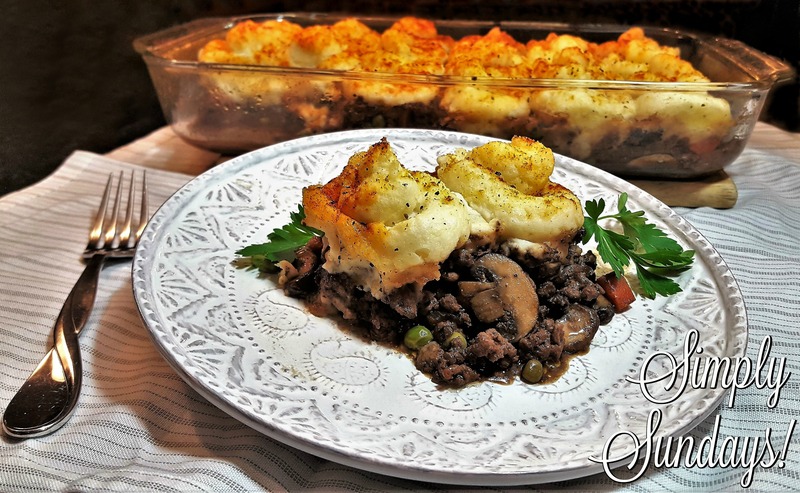 Shepherd’s Pie – Simply Sundays! I mean it is meaty and hearty and covered in mashed potatoes… can you even ask for more? My version of this great dish is a mashup of all the different ones I have tried over the years and I know you will love it as much as we do! I have a weakness for comfort foods as well! although mine likely vary a little from yours, coming from Asia (although I LOVE mac n cheese & stews of all sorts!). And I love anything with potato! Piping the mash is such a great idea – better crunchy to pillowy ratio! Thank you for the idea!